Earlier in the week, if you’d told me that Overwatch would find a way to add a Discipline Priest to its roster, I’d… well, okay, Overwatch does some crazy things, so I’d probably have found it plausible. But I certainly wouldn’t have imagined a final iteration like Moira. Which is to say, Moira is pretty freaking awesome. The time I had to play as her was a lot of fun. If you need a quick refresher, Moira is a Support hero whose abilities revolve around biotics. These abilities look an awful lot like Holy and Shadow magic from WoW. As such, she can heal allies or damage enemies as needed. Oh, and she can teleport through the shadows. No big deal. Take a look, and then stick around for my impressions after taking these abilities for a spin. Part of this uniqueness stems from the fact that she has a resource requirement to her healing, and it’s one that can’t just be refreshed by hitting your reload key. In order to gain back this energy, she needs to deal damage with her Biotic Grasp. (Note: Biotic energy may refresh on its own over time. I never had the chance to confirm thanks to either being in combat or being dead). 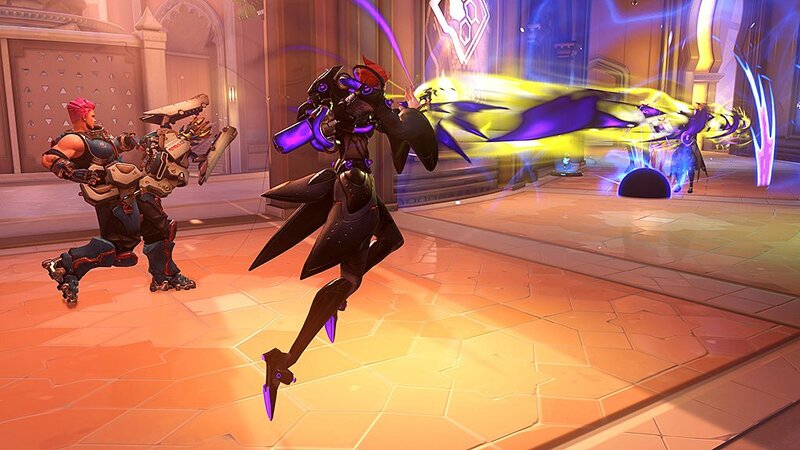 Because of this, Moira needs to weave in and out of battle to maximize her healing abilities. She can’t sit back from a distance and heal indefinitely. Doing so means she’ll soon run out of energy. Personally, I found this a ton of fun. When you combine the in-and-out combat necessity with her Fade ability, the fun factor really ramps up. 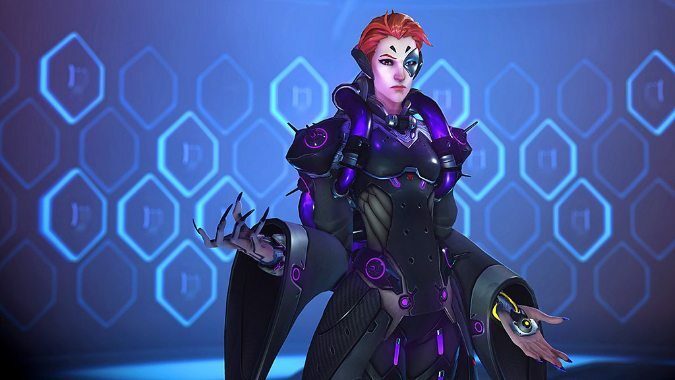 Moira is the type of hero that needs to be taken down before she can zip behind your back line of heroes and wreak havoc on your team. I haven’t even gotten to her other abilities, which both add quite a bit of flair to her kit. Her Biotic Orb feels fairly situational, but definitely has potential. It legitimately bounces off whatever surface it hits, which means it can be incredibly effective in small rooms… or it can bounce off the ground and disappear into the sky on open-area maps. It’s something that requires a bit more planning to make the most use of. However, I absolutely love having a “bounce mechanic” in Overwatch. I can only imagine what it means for future heroes. And finally, her ultimate. Oh, her glorious ultimate. Somewhere in between a Kamehameha from Dragon Ball Z and the Disintegrate ability Wizards have in Diablo 3, Coalescence is one of those abilities you’re going to hear go off and immediately run for shelter. It’s a ton of fun, mostly because it heals and damages at the same time. But the shield-penetrating factor will also make for an interesting counter to, say, Reinhardt leading his team with a barrier to protect them. I can’t wait to play Moira for more than a couple matches. Even more than that, I can’t wait to see the community’s reaction to her. She’s not a purely healing-based Support unit. I think that’s actually going to open up her appeal to a lot more players. For now, I’m going to head back to the floor and demo her — just one more time, I promise.